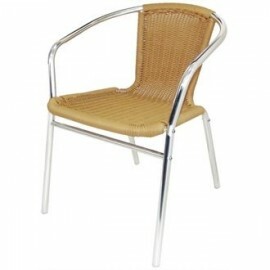 Expand your catering business to the outdoors with these Bolero Wicker Wraparound Bistro Chairs. 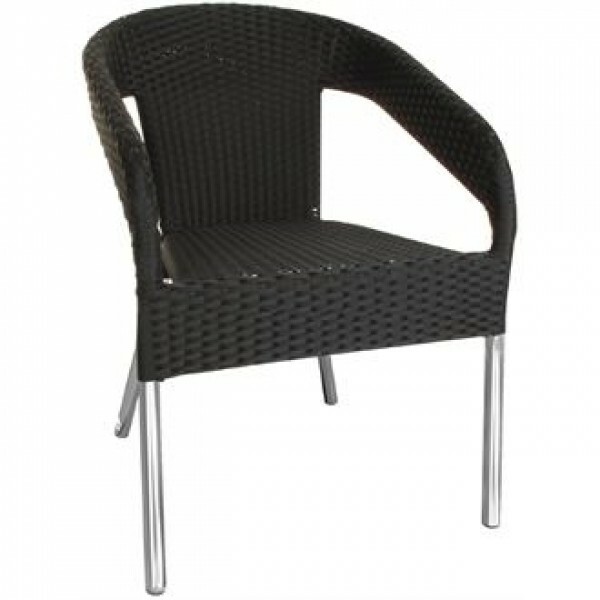 With four in a pack these beautiful wicker chairs are perfect for your business, especially in the summer. 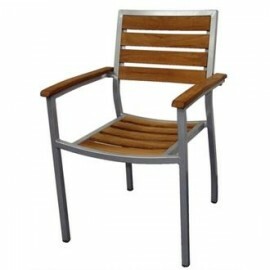 Resistant to light showers and easy to wipe clean with a PE wicker back, seat and arms. 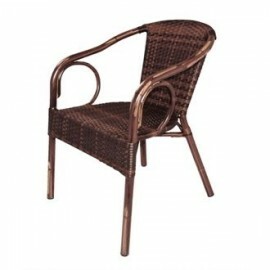 Shaped for comfort. 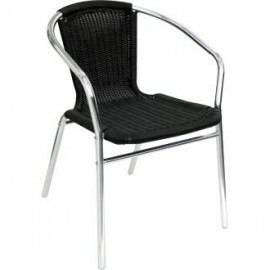 The tubular aluminium frame holds up a light, simple, strong and stylish chair made out of wicker. T..